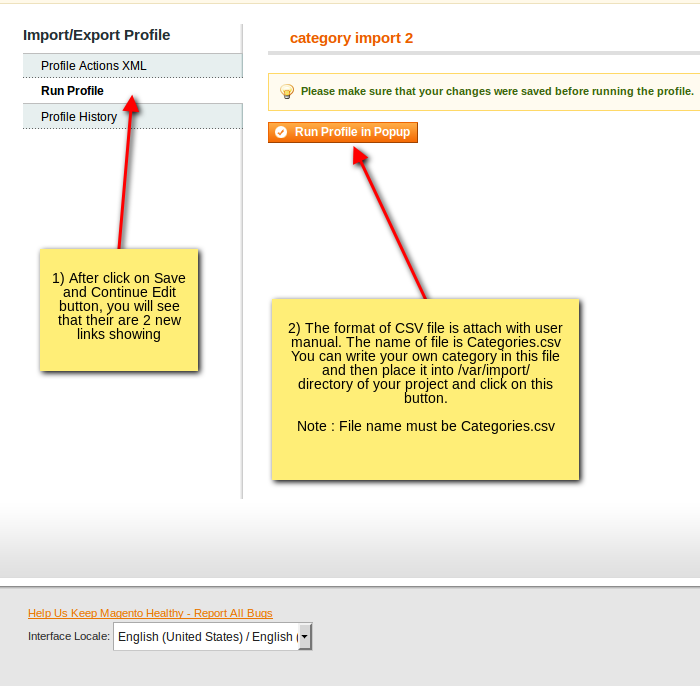 Category import extension allows you to import your categories, sub categories and related data. 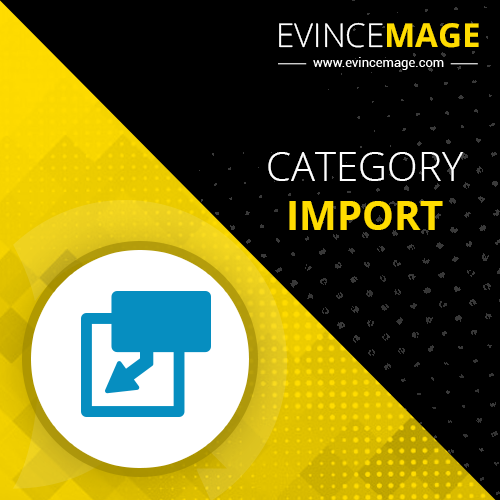 Category import allows you to import your categories and sub categories and related category data like meta descriptions / meta title / meta keywords / isActive or isAnchor / category description etc. 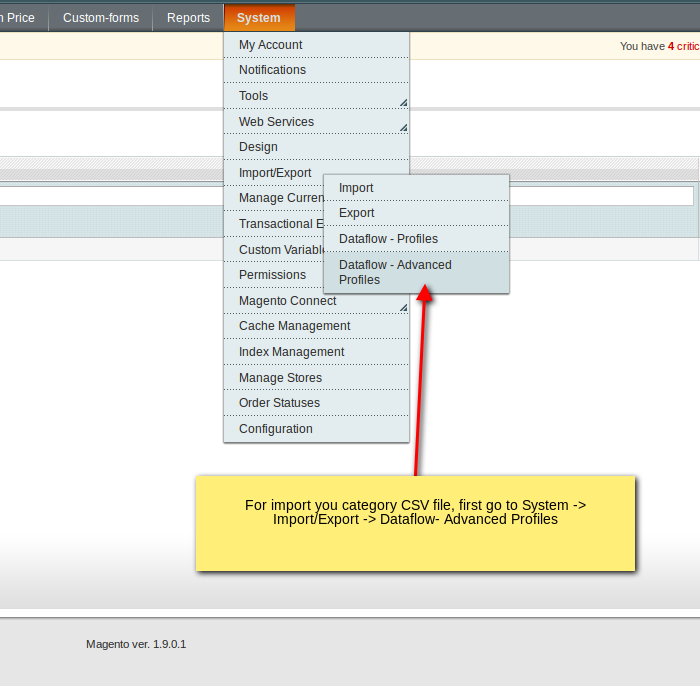 See the example of Categories.csv file to view the format of CSV. 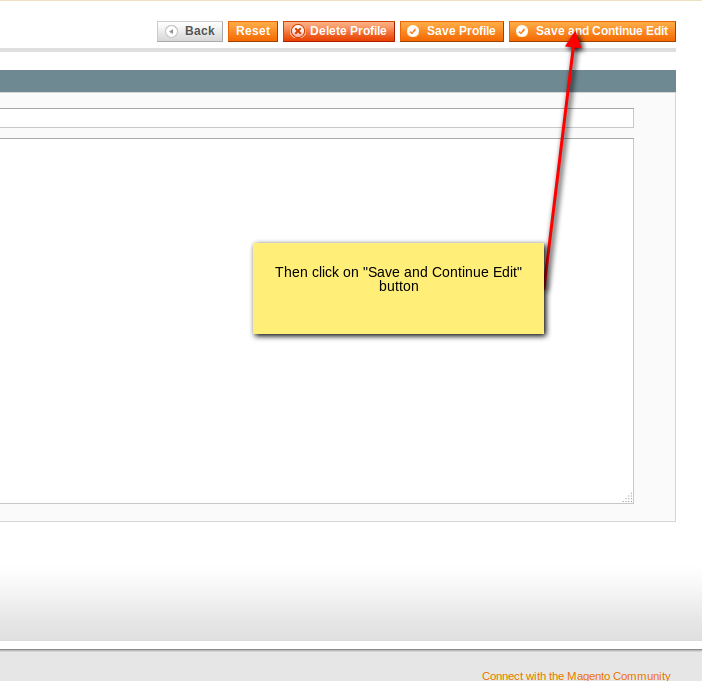 Our extension will import Root Categories and Sub Categories. 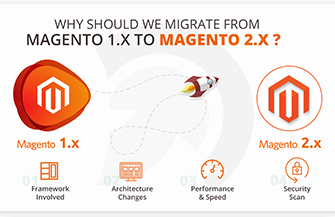 You can import any type of Category related data like Meta descriptions, Meta title, Meta keywords as well as if the category Active, Anchor, category description, Page layout and custom layout. 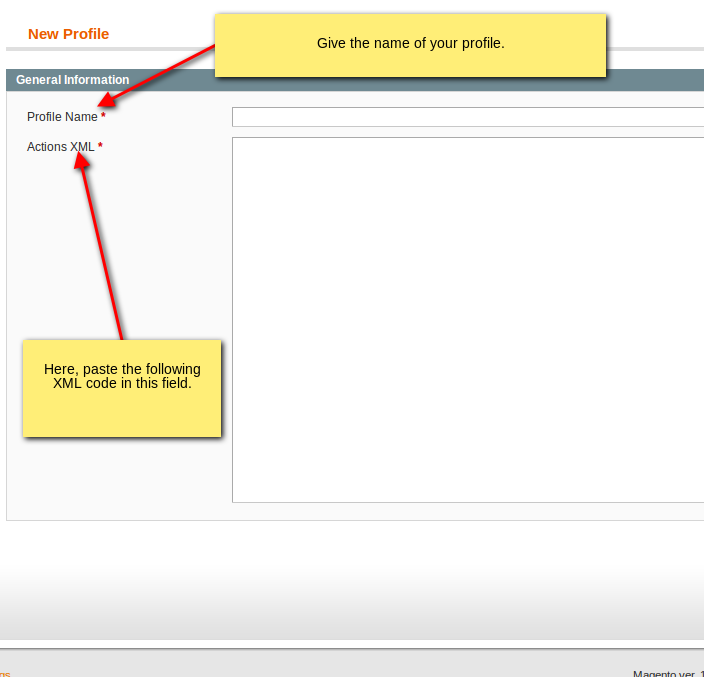 This extension facilitates creation of multiple categories, at-a-time using CSV files. 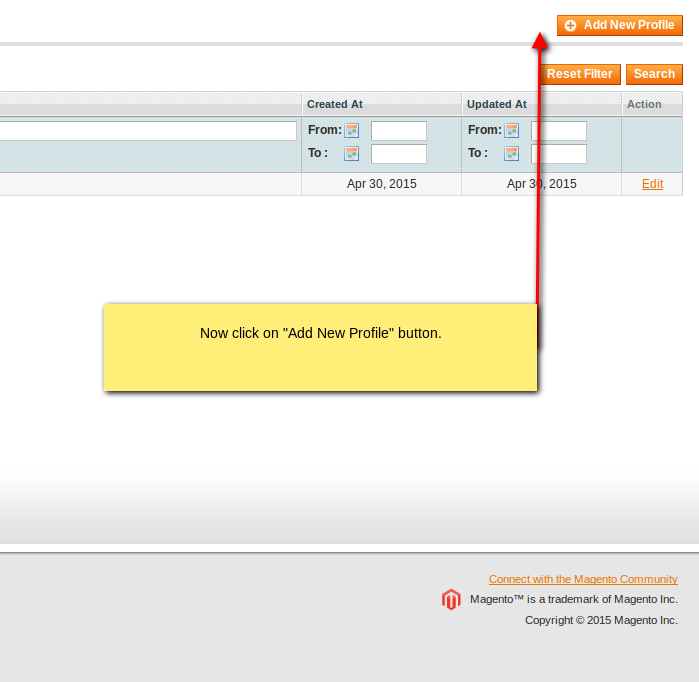 You can easily update and insert Categories using only one CSV file.